Vincent Van Gogh spent a year in an asylum at Saint-Paul-de-Mausole in the South of France after he had mutilated his ear in the Yellow House at Arles. During this period he produced a series of masterpieces inspired by the beautiful Provençal landscape with cypresses, wheatfields, olive groves and sunsets. 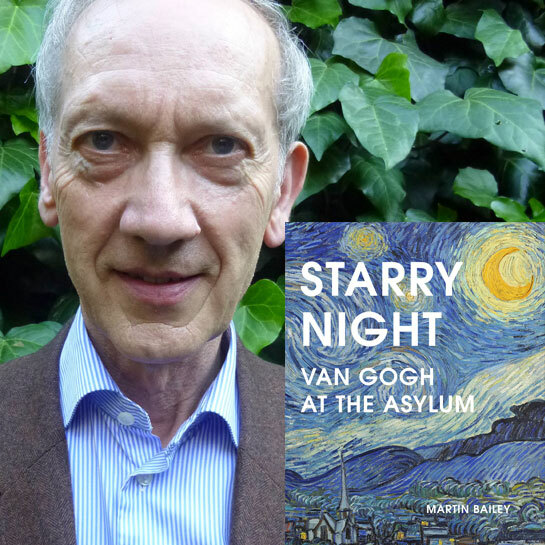 Leading Van Gogh specialist Martin Bailey provides a vivid impression of daily life behind the walls of the asylum, looking at Van Gogh with fresh eyes and offering a wealth of new information and unpublished images. He accessed newly available asylum documents giving insight into the asylum, emphasising the difficult conditions under which he continued to paint and create some of his finest work. Martin is the co-curator of Tate Britain’s current show: The EY Exhibition: Van Gogh and Britain.